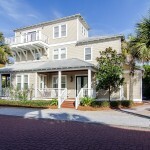 “Catching Some Zz’s” is an amazing fully furnished home located in Seacrest Beach, FL! This 4 bedroom, 3.5 bathroom home is in a great location, close to the large lagoon pool and only steps away from the deeded beach access. A great layout for entertaining and room for many to stay. The living, dining and kitchen area are open to each other and convenient to the outside deck with grilling area. The porch has a built in grill, dual sink, refrigerator and stainless steel countertop making vacation cooking a breeze. 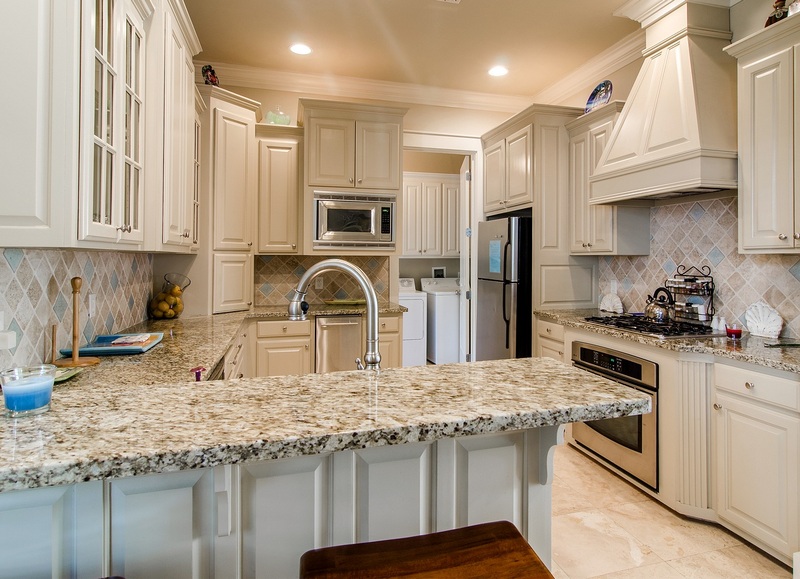 The kitchen has granite countertops, stainless appliances (including an icemaker), gas range and a breakfast bar. A laundry room with a full size washer and dryer is right off the kitchen and has access to the back of the house and driveway, where the outdoor shower is located. Tile runs throughout the main area of the first floor. The first of two master bedrooms is also conveniently located on the first level. It has hardwood floors, a walk-in closet and a full private bathroom with jetted tub. Up the stairs to the second floor landing you will find an easily accessible owner’s closet. There are three full bedrooms on this second level – including the grand master suite. The second-floor grand master bedroom has a huge walk-in closet and access to a private balcony. The master bathroom has a Jacuzzi tub, separate tiled shower, dual vanities and a breakfast bar with a mini fridge. 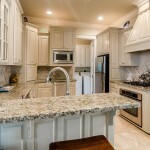 There are plenty of cabinets in the master bathroom as well for towels and linens. The loft on the third floor has a twin bed with trundle and makes the perfect get-a-way area to relax and lounge. 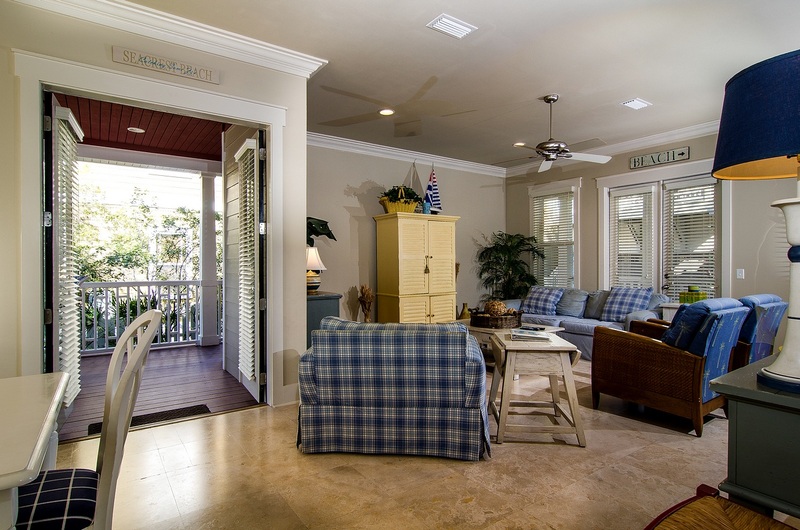 There are two decks off the loft – one facing north and the other facing west to capture the warm Florida sunsets. 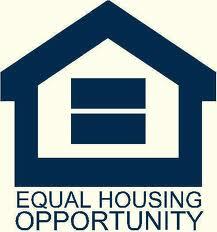 This home is a great rental home, second home, or even primary residence. A local rental company estimates the home has the potential to gross right under $60,000 per year. 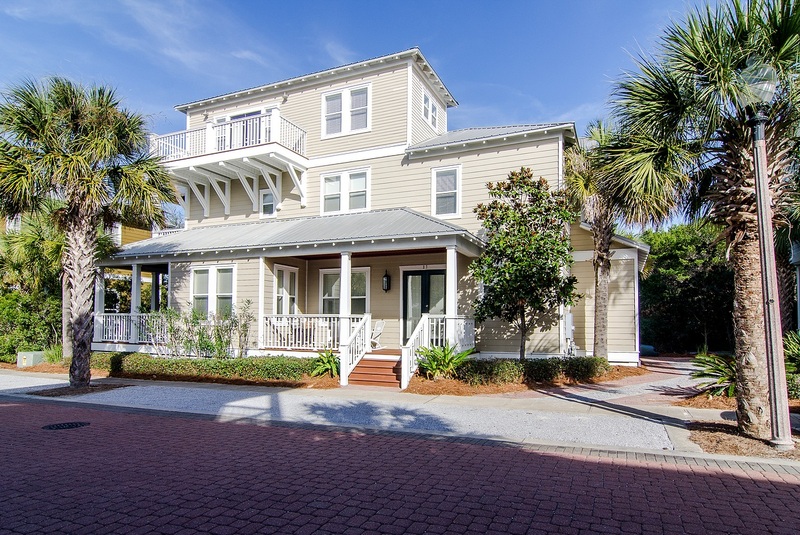 Seacrest Beach is ideally located between Alys Beach and Rosemary Beach so you can enjoy all the shops and restaurants that Seacrest, The Village of South Walton, Rosemary, and Alys have to offer. Seacrest Beach offers a 12,000-square-foot lagoon pool and deeded beach access as well as a convenient tram service. All room dimensions and square footage are approximate and should be verified by the buyer.